Stephane Omeonga admits he found the going difficult when he was thrust straight into action only two days after completing his loan move from Serie A outfit Genoa. His debut at Fir Park lasted just 45 minutes, the midfielder replaced by Vykintas Slivka as Hibs went down 1-0 to a goal in the first half from Motherwell youngster David Turnbull in what turned out to be Neil Lennon’s last match in charge. As the club’s search for a new head coach went on, Omeonga found his game time limited, the Belgian Under-21 internationalist enjoying just five appearances as a substitute. He did, however, convince Lennon’s replacement Paul Heckingbottom in that time, the former Barnsley and Leeds United boss revealing the 22-year-old had impressed sufficiently in training to persuade him to return Omeonga to the starting line-up. Now, as he prepares to face Motherwell for a second time in what promises to be a huge match in relation to both clubs’ hopes of a top six place at Easter Road on Saturday, Omeonga believes he’s far better prepared for the challenge. Having come from Italy where his last three matches in Serie A had been against AC Milan, Inter and Napoli, he said: “It was difficult, football in Scotland is very different to what I was used to, more intense more physical. “I was surprised to go straight into the team after coming to Edinburgh but the coach said he thought I was ready, he’d seen me doing well in training. “I was happy to start but maybe I wasn’t ready against Motherwell, one of the more physical teams in the league, but I gave it everything I had. 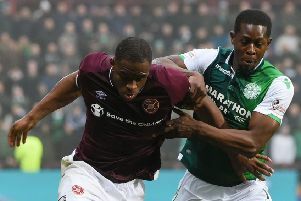 Omeonga completed his first full 90 minutes in a green and white shirt as Hibs came from behind to earn what, ultimately, was a deserved point against Rangers, his tackle on skipper James Tavernier – which the Glasgow club claimed was a foul – initiating the move which saw Heckingbottom’s side sweep to the other end of the pitch for Flo Kamberi to knock home Marc McNulty’s cross. In that instant Lennon’s comparison with Chelsea’s French World Cup winner N’Golo Kante came to mind, the ex-Hibs boss claiming that, although Omeonga wasn’t the tallest, he was strong, full of running and yet tactically aware. Omeonga said: “I read that and I thank him for that because Kante is a wonderful player. If I can have his career I would take it. “But we are all a little bit different. I think I am a little bit more attacking and he is a little bit more defensive. However, we both maybe have some similarities, our energy, the way we run. Kamberi’s goal, his 13th of the season coming on his 24th birthday, maintained Heckingbottom’s unbeaten run in the Ladbrokes Premiership, Hibs having taken ten out of the 12 points from matches against Hamilton, Dundee, St Johnstone and now Rangers. But a stirring performance in the second half also helped ease the pain of having lost that Scottish Cup quarter-final to Celtic six days earlier. However, having said that, he admitted he and his team-mates had been forced into a backs-to-the-wall performance in an opening 45 minutes in which Steven Gerrard’s side took the lead through Daniel Candeias in what proved to be a meagre return for their dominance. 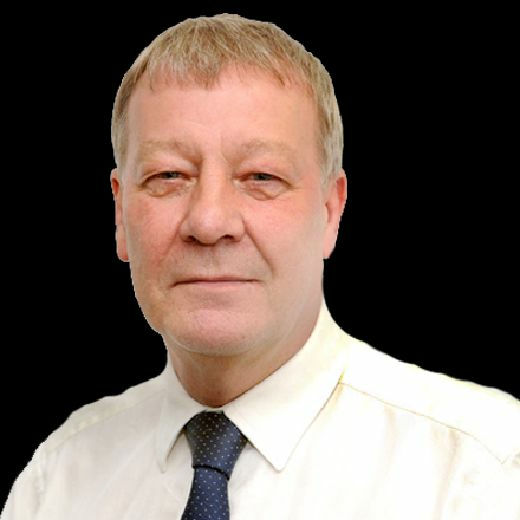 A tactical tweak by Heckingbottom, though, allowed Hibs to gain a foothold in the match, Omeonga moving into a more central role where Ryan Jack and Glen Kamara had been dictating proceedings while Kamberi operated further out on the left flank to help curb Tavernier’s runs from right back. And having equalised, Hibs might have gone on to win, Rangers goalkeeper Allan McGregor pulling off decent stops from Daryl Horgan, McNulty and Kamberi while Stevie Mallan was only denied a goal by Joe Worrall throwing himself in to deflect his shot over the bar. Omeonga added: “After the first half it was hard to think that we could take a point, but we did. A game lasts 90 minutes and we believed in ourselves right to the end. “It was a reward for our grit and determination. We’d come out angry with ourselves at the start of the second half and we showed that. We pressed them and didn’t allow them to dictate the game. “But, to be honest, the back four and Ofir Marciano saved the game in that first half, there were some heroic performances with the boys throwing themselves in front of shots. That kept us in the game and allowed us to get the point in the end. While Omeonga and his team-mates still hope to overhaul Capital rivals Hearts by the end of the season, the primary target is to make the top six before the split and with Motherwell only two points behind, Saturday’s match now taking on even greater importance.